THE NAME John J. D’Souza will no longer appear in my inbox. He passed away on March 20/21 (depending on where you are). He went to sleep the previous night and never woke up. We can surmise he slipped away in the gentle peace of the night. It would be typical of him to exit in this fashion. Along with a few Canadian Goans John Nazareth, Alcino Rodrigues, Braz Menezes, Emiliano Joanes, John Noronha, Armand Rodrigues, Astrid Fernandes, Jerry Lobo, Norman Da Costa, Juliet Rebello; from the US Merwin D’Souza; from London Mervyn Maciel and a few others, John played a pivotal role in our lives in the fascinating field of information gathering about Goans, Goans-related and everything else in the diaspora. He was equally passionate about saving every scrap of information, every snippet of a photo and anything online or on disc about our lives in Goa, East Africa and wherever else we might have come from. 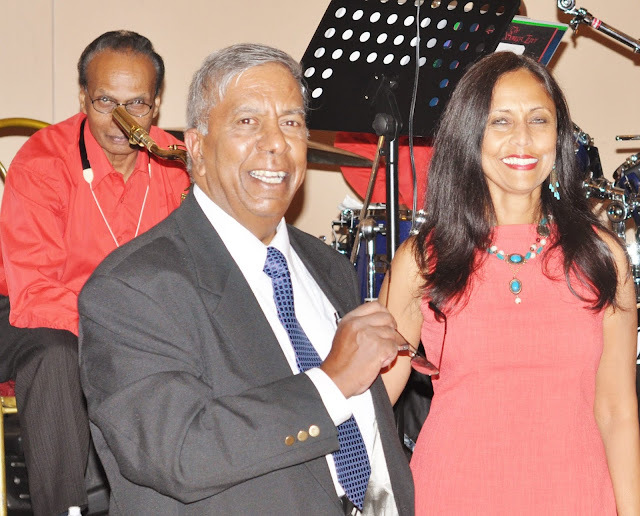 In the life of Canadian Goans, especially Toronto Goans, his departure will leave an almost unfillable gaping hole in the tapestry of the community since the arrival of the first Goan in Canada. More than that we will miss his infectious enthusiasm which he used with beguiling inspiration to push us onwards in our various quests for history’s sake. John was an engineer, a graduate of the Royal College Nairobi before it became the University of Nairobi. He brought his precision engineering skills to writing. Like some engineers, he was not expansive with his words, he was more precise like any good engineer should be. He questioned, questioned and questioned until he was convinced the fact or the truth had been established or left it out if he was not. I am completing an in-depth article on the role of the Goan Community in setting up the Holy Family Church in Nairobi 1899 – 1963. This is being finalized and checked. For reasons of brevity I have only made a passing reference to other Churches in the Archdiocese and plan to append a reference list. I need information and welcome those with the knowledge of times then, to submit their experiences. This will be added with the reference source documented. Ref 2 - is a ref to St Teresa's which was your home ground. There seems to be a huge complex in the area as viewed on Google Maps. Also, the reunion that took place in the UK shows fond memories. ( see Merwin's site). I hope a one-page summary on the origins of St Teresa Mission and an upbeat article on the Goan contribution can be added for the once-and-for-all historical record. I am completing an in-depth article on the role of the Goan Community in setting up the Holy Family Church in Nairobi 1899 – 1963. This is being finalized and checked. For reasons of brevity I have only made a passing reference to other Churches in the Archdiocese and plan to append a reference list. I need information and welcome those with the knowledge of times then, to submit their experiences. This will be added with the reference source documented. The Goan Community continued to be active in setting up Churches in the Nairobi Archdiocese, Besides the Holy Family Cathedral, the following are a number of references where the Goan Community was involved. In ref 1 my childhood friend and Classmate 1957, the late Rev. Fr. Pelin D’Souza was the Pastor of St. Francis Xavier Church when it celebrated its Golden Jubilee in 1983. We were both baptized and received our First Holy Communion there. The late Albert Fernandes, once mentioned that in the early years (the 1940s) St. Francis Xavier Church did not have a Priest’s house. The Rev. Fr. Butler ( later Bishop Butler of Mombasa) who was stationed at St Teresa’s, used to bicycle all the way to Parklands as early as 7.00 am to celebrate Mass. Today the same journey by car would take almost 2 hours! In ref 2, I have only faint memories of St. Teresa’s, again a parish where the humble Goan Community played a leading role. I have asked xxxx to provide brief commentary. In ref 3, the Shrine of Mary Help of Christians, my cousin, Fr. Tony D’Souza SDB, in Mumbai, came to Nairobi in 19xx under their “Project Africa” to set up a presence of the Salesians in Kenya and build the Shrine. Sadly I had long departed from Africa by then and have not visited the place. There were Churches built in Nairobi South B & Westlands. I know very little about them and have asked former parishioners now in the GTA to provide a description. Nov 2, 2017 - Goans have a long history with the church in Kenya. Dr Rosendo ... St Francis Xavier is the patron saint of missionaries. St Francis Xavier Catholic Church is situated at the junction of Parklands Road and Limuru Road (now Prof Wangari Maathai Road). Built in 1933 and funded largely by the Goan community for their own use, the church is a silent reminder of those days of racial segregation. Designed to a neo-gothic architectural style, walls are made of butch stone buttressed at regular intervals externally beneath a Mangalore tiled roof featuring a high, vaulted ceiling. Windows are glazed in steel casements supported in arched openings with rose windows to the higher elevations. The walls are rusticated to external elevations giving the visual impression of an impenetrable fortress. The statue of their patron saint Francis Xavier stands in the garden. Today, the church is open to all races. Ref 2 St.Teresa's Catholic Church-Eastleigh. This is a very tiny glimpse into one project which I hope he has completed. ROLAND FRANCIS: He was the historian of the Goan community in Canada. If you wanted any reference to what he said or context to whatever he chose to discuss, JJD would within 24 hours whip out an article, a post, a video or minutes of a meeting. If there was any record, he possessed it. It was natural that he was a part of the team of the Goan Archives project. I met John many years ago in Toronto and I knew here was a man who could critically analyze issues unlike most in the community. While his engineering background may have contributed to it, his talents went beyond. He spent endless hours thinking and acting outside the box on matters that affected Goans in Canada. A website here, a committee there, a panel here, a celebration there. John was a bachelor and one automatically assumed he had more time on his hands than the average person, but by itself that didn’t explain why you could see JJD where three or more people gathered in the name of a Goan cause. He simply loved Goans no matter he gnashed his teeth at the actions of some and he simply loved being with them. 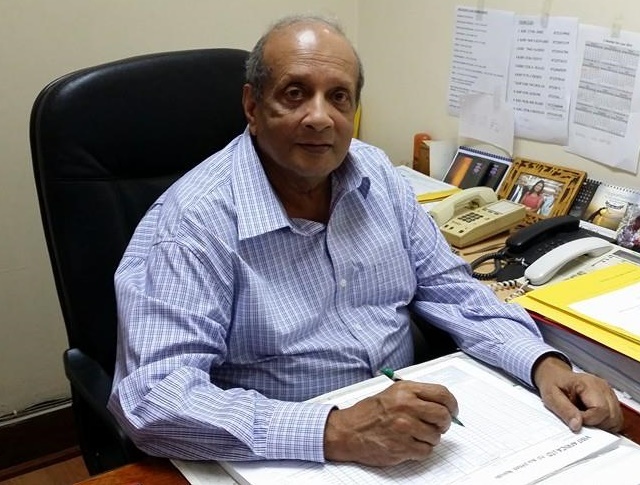 For many years, JJD single-handedly ran Goan Voice Canada a popular website that he started and which became an informal sounding board for the city. But after the passage of many years, it became even for JJD, a herculean task and he lamentably had to cut it loose. For those like myself who witnessed his pain over this, it was almost like a parent letting go of his favourite child. John lived in Mississauga and I in the eastern part of Toronto, so while it was difficult to just connect in person over a meal or a cup of coffee on a whim, we talked often and we met frequently enough at events and gatherings. Always with a smile, JJD shared with me a lighthearted vision of our Goan cultural milieu and an even lighter hearted opinion of our ability to try to be agents of change. He never talked about his health as most seniors are apt to do but of late when we conversed on the phone, he was always trying to impress upon me the tasks that needed to be completed before he lost his race with time. I remarked upon this but he just brushed my concern for his unusual pessimism. I always visualized JJD like an old soldier never dying, only fading away and it is with a heavy heart that I read Cyprian’s notes to Goanet and to me that JJD had last night unwound the coils of the shuttle that loomed the fabric of his life. Goodbye John and though I don’t believe in an afterlife, I do wish for you happiness with your rich Kenyan and Canadian memories that all of us who knew you, will in partnership cherish. BERNI GODINHO: RIP! You will be missed by the DRGS community dear John. It was good working with you on the DRGS reunion booklet. Your wit was what I admired most. ERROL FERRAO: Such sad news, sincerest condolences to John's family. Truly appreciate your contribution to our community. FRANCIS LOBO: John's contributions are global... thank RIP. MANUEL TAVARES: John was instrumental in making sure the history of the Goans in Canada was documented and preserved for posterity. MANNY CASTELLINO: What a loss to the community and his family. Sad, sad, sad. MERWIN D’SOUZA: There's a phenomenon known as the Pareto Principle or the 80/20 rule which broadly states that, for many events, roughly 80% of the effects come from 20% of the causes. Sadly, in our community, it is more like 90/10 rule. John was one in our top 5%. We were in touch 2/3 times a week and recently more often than that. His concern lately was about all the things our generation needed to accomplish to leave our footprints behind before 'the lights were turned off'. He certainly wasn't one of our 90% b/s artists. He was a doer, getting things done in his quiet, no fanfare manner. With John it wasn't about the attention or accolades, it was about the bigger picture, being our better selves, the challenge and the satisfaction of scaling one peak and on to the next pinnacle.....making progress as a community. He pushed and encouraged others to take on more but always expected twice as much from himself. As an engineer at heart, his organization, management and impeccable follow thru skills were qualities I deeply admired. It is difficult for the average individual to appreciate the time and effort it takes just to run a periodical website unless one is totally immersed in it. I understand just a little of that sort of undertaking, but John not only achieved this but at any time had another dozen community balls in the air he did not drop. His community vision, dedication, tireless energy and efforts, I am afraid, were never fully appreciated. It will become evident over time that the Toronto community has lost a key mover and shaker. MERVYN MACIEL: I just can't believe what I've just read in Cyprian's tribute - that John D'Souza of Canada is no more. I write this with a deep sense of shock as John was such an energetic soul and a 'Walking Encyclopedia' on anything related to Goans and especially Goans of East Africa. priest from Zanzibar – something I myself did not know. Am including an extract from his e-mail below. John was ever willing and prompt to help with any information. communicated extensively over the years and I shall miss his wit and wisdom immensely. good he selflessly did for others. My sincere condolences to his family. cannot find it 🙁. He came to Nairobi 1902 or 3 to conduct a retreat in "Concani" as the article says. If you have a copy pls send at your leisure. JOHN NORONHA: Deeply saddened by this awful news. His contribution to the Goan community is incredible and will be there for generations to come.